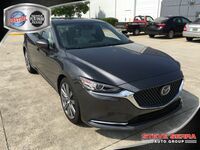 The new model year of the Mazda6 has been revealed and we're gearing up for its arrival at dealerships. 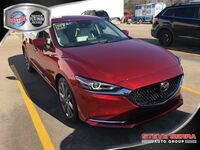 The new year brings with it many updates including stylistic changes, new engine options, a new trim level, and a whole slew of technological advances and upgrades. This model is truly a marvel. 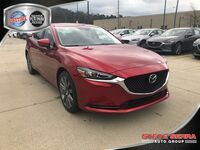 Built with stunning styling and innovative engineering, the 2018 Mazda6 is set to be a front-runner in the automotive market. 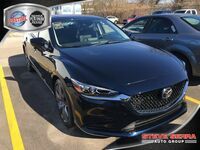 Building upon the already stunning exterior of the previous 2017.5 Mazda6, the 2018 model takes design a step further and adds even more athleticism to the overall aesthetic of the new Mazda6. 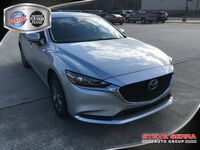 The front end of the new Mazda6 has an updated grille that accentuates the Mazda6's strong features and gives a sense of depth to its look. Standard LED headlights and integrated fog lights further enhance the sophisticated and clean look of the front end. 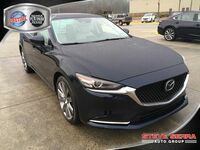 Carrying on into the interior cabin, the Mazda6 sees revisions to its dash, elongating its layout and adding hints of refined sophistication. 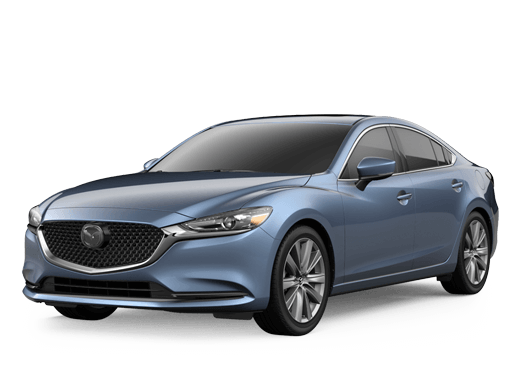 Now offering a Signature trim, the Mazda6 is pushing the boundaries of what drivers can expect from this full-sized sedan. The Signature name may be recognizable to you because of the CX-9 model grade lineup. 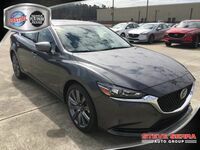 This trim level is designed to rival luxury automobiles and features a host of refined materials and stunning stylistic details throughout the cabin such as Nappa leather seating surfaces and Sen wood accents throughout the cabin. 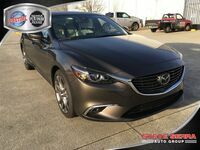 This trim also offers drivers the entirety of the available tech and features in the Mazda6 lineup. 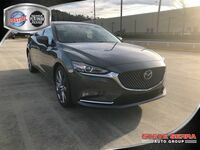 For 2018, the Mazda6 will now offer Mazda’s award-winning turbocharged SKYACTIV-G 2.5T engine. Previously only available in Mazda's crossover and SUV segment, the sedan category gets a boost of power. This engine will give drivers access to 250 horsepower and 310 pound-feet of torque. Also new for this model year is the cylinder deactivation technology, which helps to improve fuel economy. 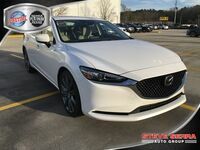 The model year of the 2018 Mazda6 offers drivers new technologies such as a 360⁰ View Monitor, a reconfigurable 7.0-inch TFT gauge display in higher-trim models, a new 8.0-inch MAZDA CONNECT infotainment display with sharper color contrast, an available full-speed Mazda Radar Cruise Control with Stop & Go, a windshield wiper de-icer, and a windshield-projected Active Driving Display head-up unit.